I am such a lazy blogger how I have managed to do it for 5 years I couldn't tell you! 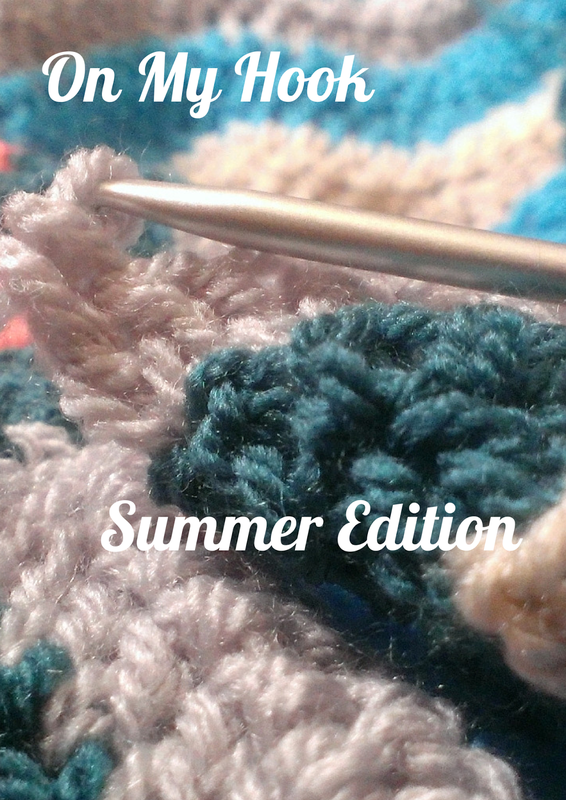 I meant to do a monthly post on what I had been crocheting and well Summer and the children got in the way! Anyway I thought I would do a round up of what I did over the summer and see how I go next month! 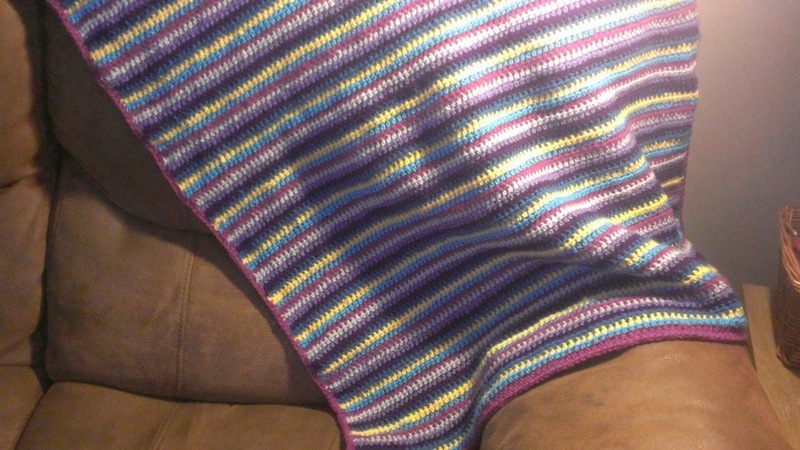 I finally finished the baby blanket for my friend. It done just in time as baby decided to come early. 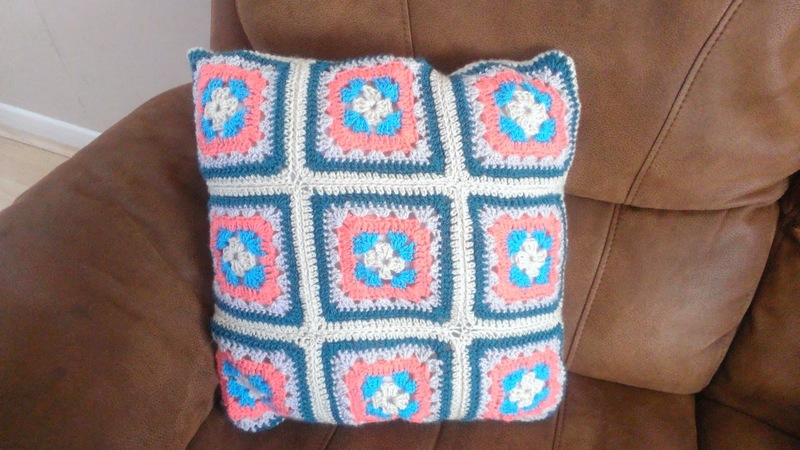 Next was my Mabel Ripple cushion. 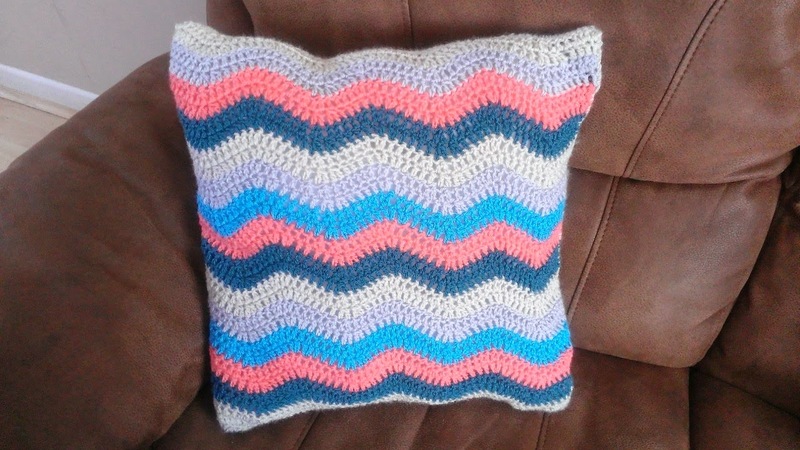 This is just for us but I have made another cushion in just the ripple and need to make three more for Christmas gifts! I made my friend bunting for her kitchen I love the colours. 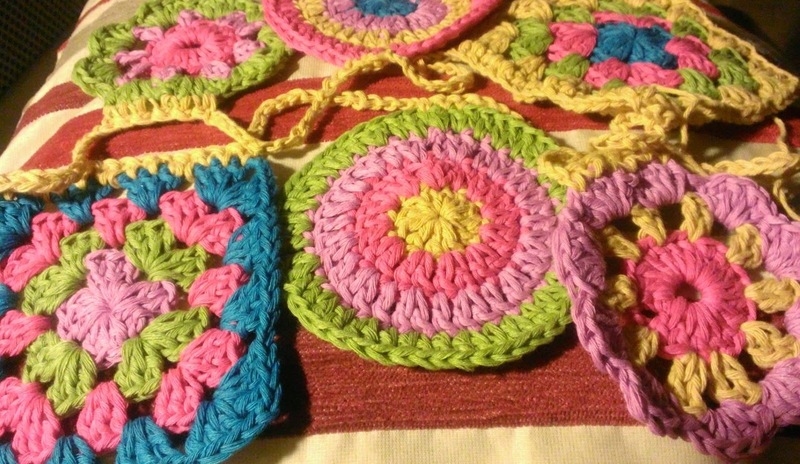 I got my first proper commission for two granny squares bags. 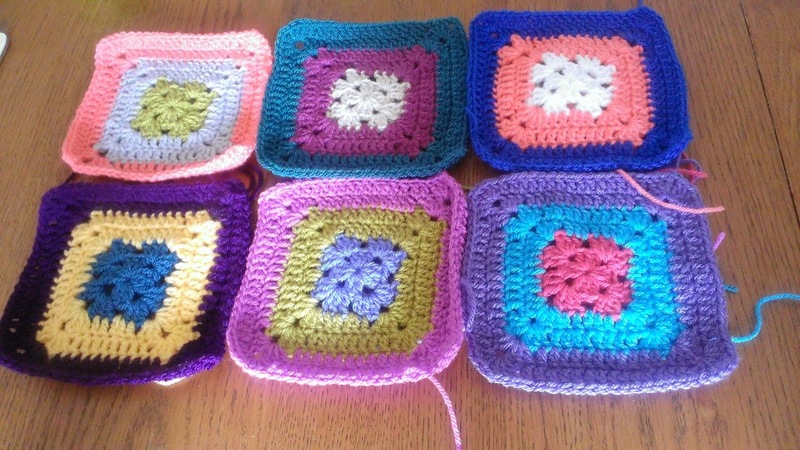 Here are the first 6 squares, I will share the finished bags when they are done. 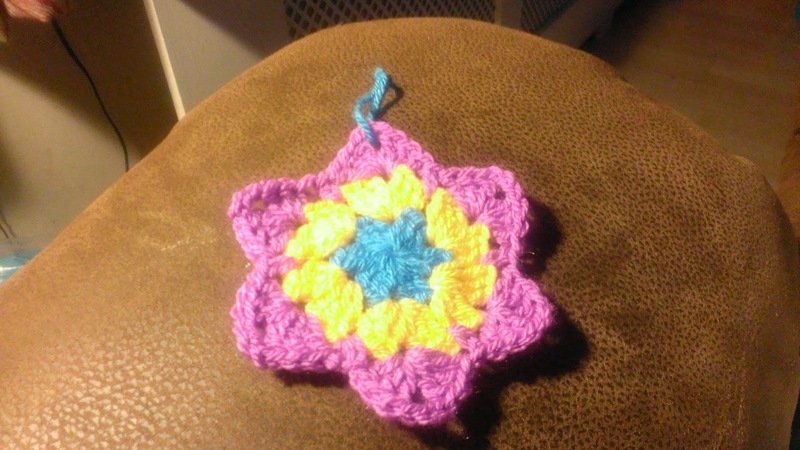 While I was waiting for the details to be finalised and yarn to arrive. 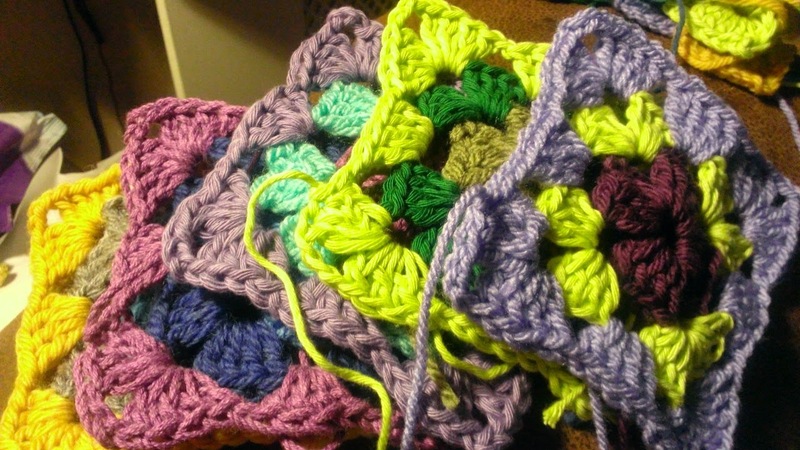 I did some more work on my epic granny square blanket. These squares just need their black round. I had a little play with Christmas stars. I love the brighter colours. 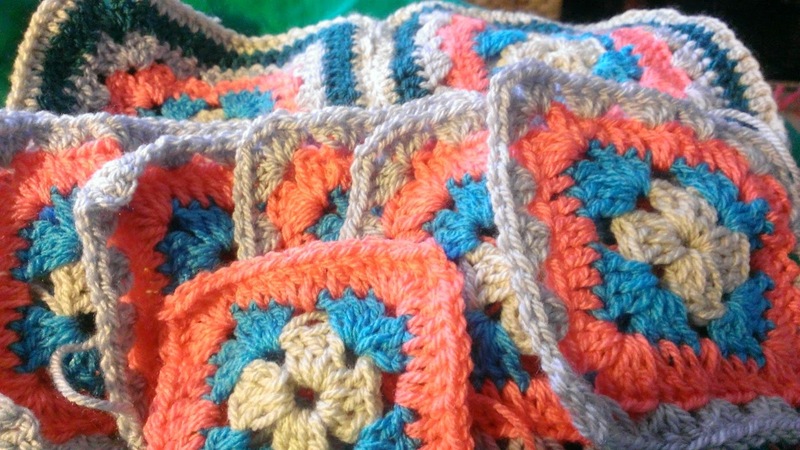 I have add two more orders for baby blankets which is really exciting! I have a new facebook page and when I reach 100 fans I will run a little giveaway so pop over and give it a little like for me please.